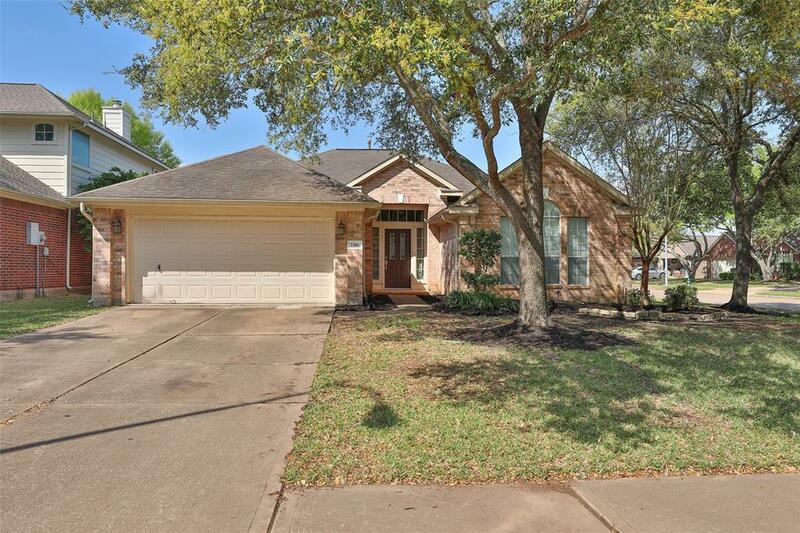 Lovely 3/2/2 one story on corner lot with large yard in established neighborhood. Spacious den with gas fireplace, open to island kitchen and breakfast nook. Split plan with two bedrooms in front with bath in between and master to rear of home off den. Master bath has two sinks, separate shower with seamless glass and garden tub, both baths have granite counters. Wood floors at entry, kitchen/breakfast tile, window blinds throughout, built ins, mature trees, fenced rear yard and sprinkler system. Highly rated LCISD schools. 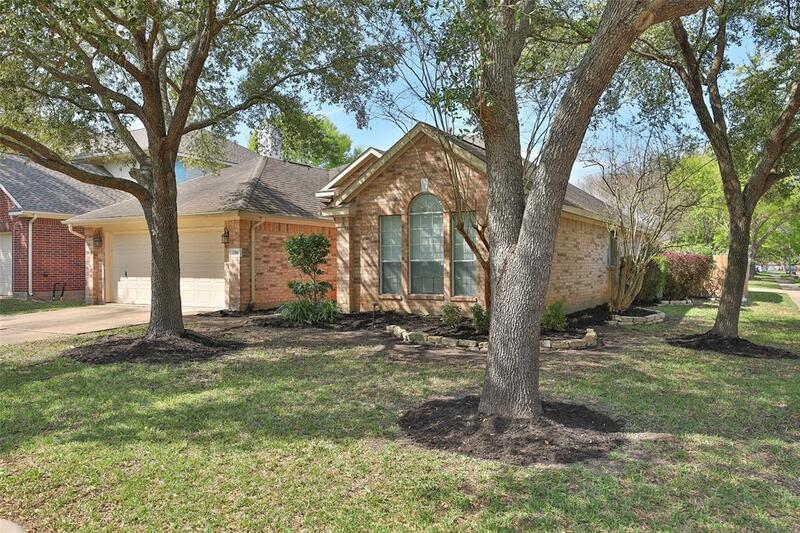 Well established neighborhood with walking trails, beautiful lakes and rec center/playground and pool. 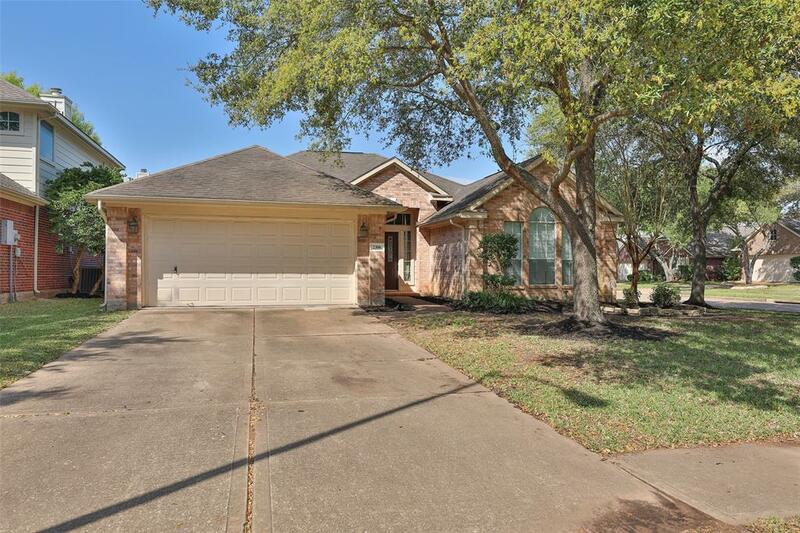 Great location close to 90A or 99, and Pecan Grove Country Club and golf, winery, gyms, restaurants and shops. 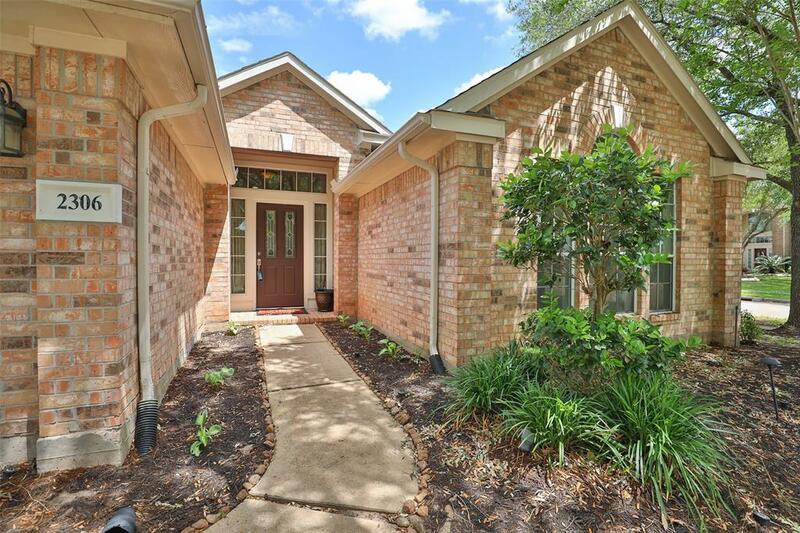 On the outskirts with the convenience of Richmond, Sugar Land, Katy, Fulshear, and Rosenberg all within minutes. Never Flooded.